Beijing. 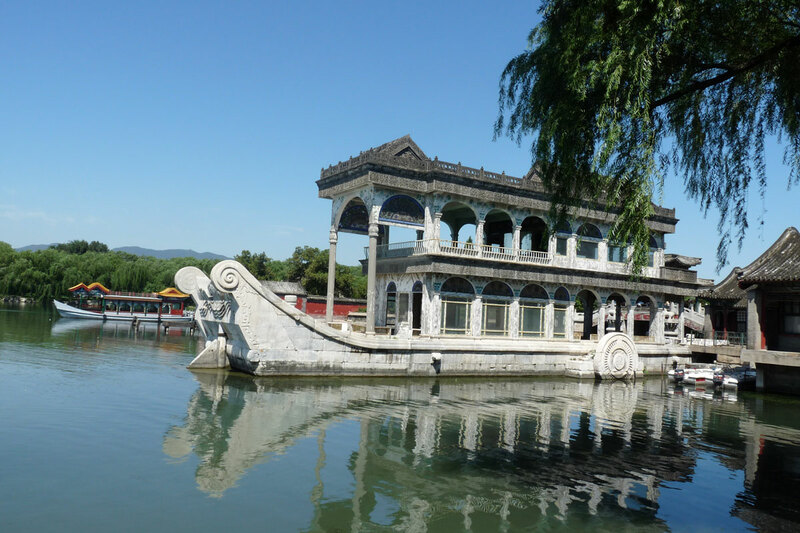 Summer palace. Travel to China. 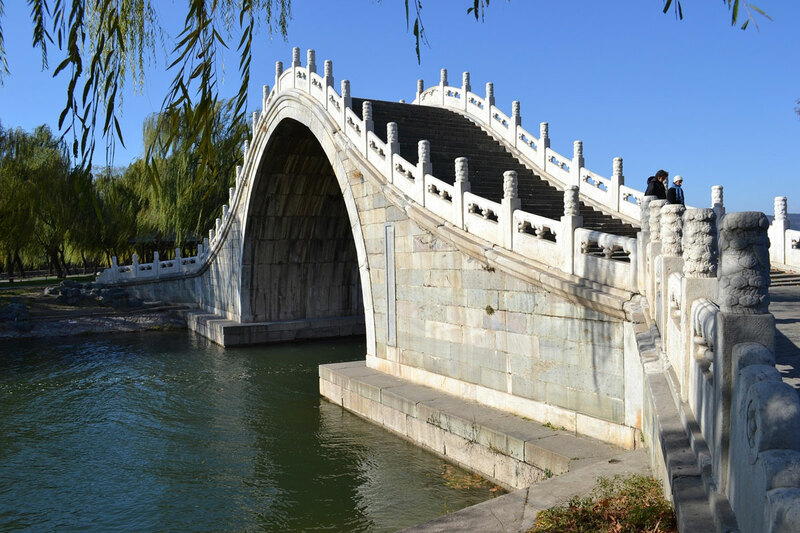 he Summer palace is located in the northwestern suburb of Beijing where the scenery is picturesque. 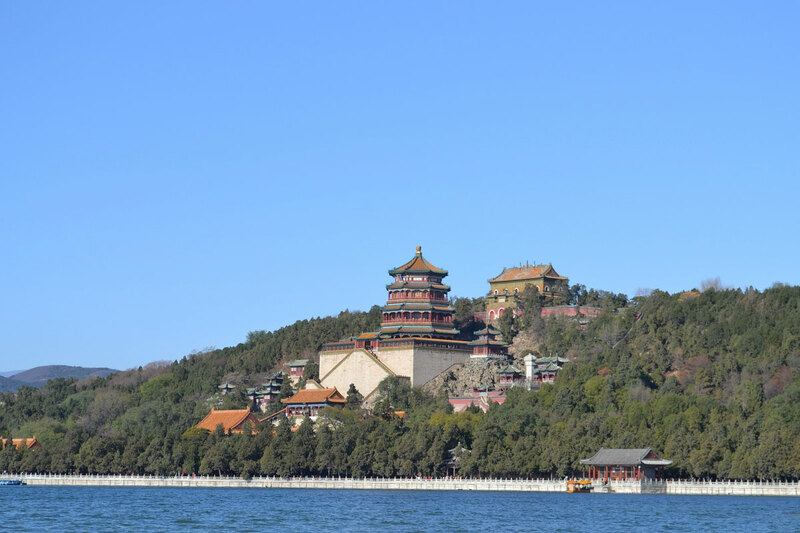 Situated at the foot of Xishan Mountain in Beijing, the Summer Palace, originally called the Garden of Clear Ripples, began to be built in 1750, the 15th year during emperor Qianlong's reign. 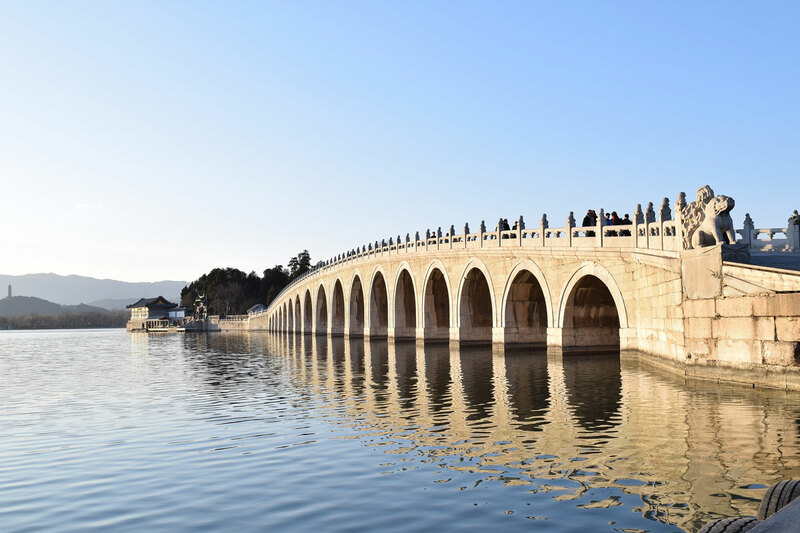 Covering an area of 2.9 million square meters, the Summer Palace is chiefly formed by the Longevity Hill and the Kunming Lake. 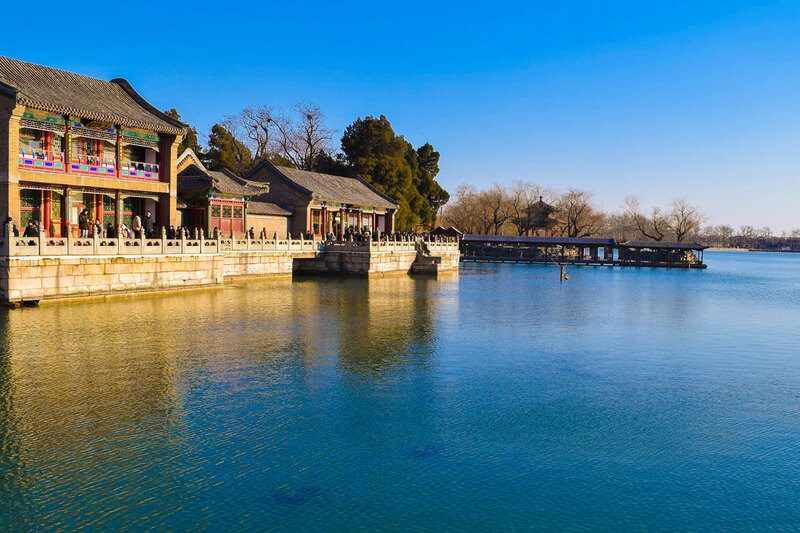 In the Summer Palace there is the Suzhou Street (Suzhou is a typical beautiful city of rivers and lakes in the south of the Yangtze River), the Garden of Harmonious Interests (a small garden inside a garden), and the longest Long Corridor in the world. 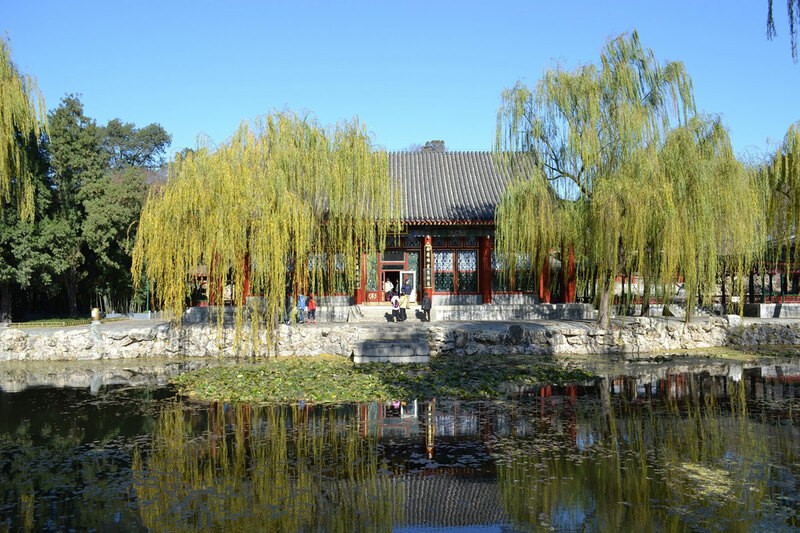 The unique combination of natural beauty and exquisite architecture fully embodies the building style of ancient China's imperial gardens. 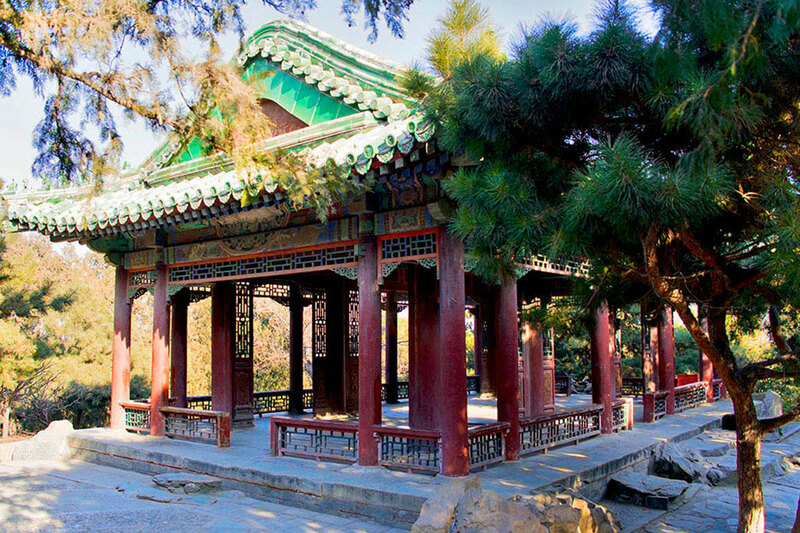 The Summer Palace ranks the first in well-kept imperial gardens throughout the world. 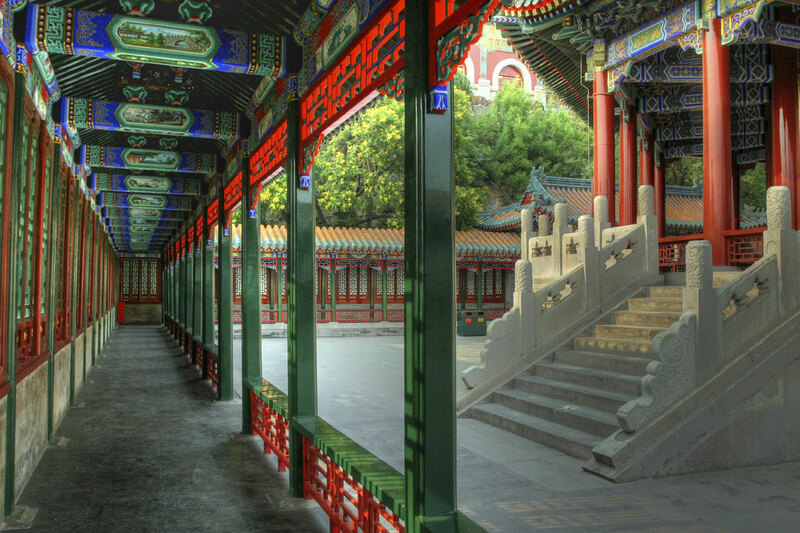 The Long Corridor starts from Invite-the-Moon Gate in the east to Shizhang Pavilion in the west, stretching 728 meters. 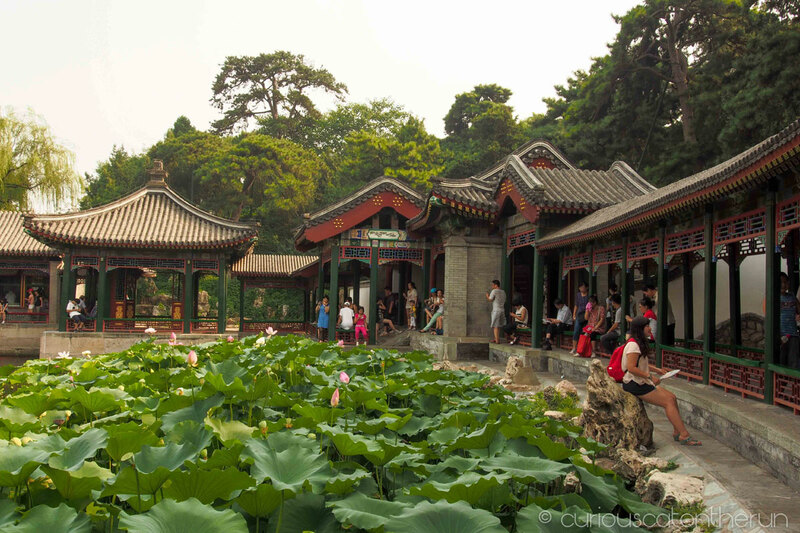 It is the longest corridor among the National Classical Gardens. 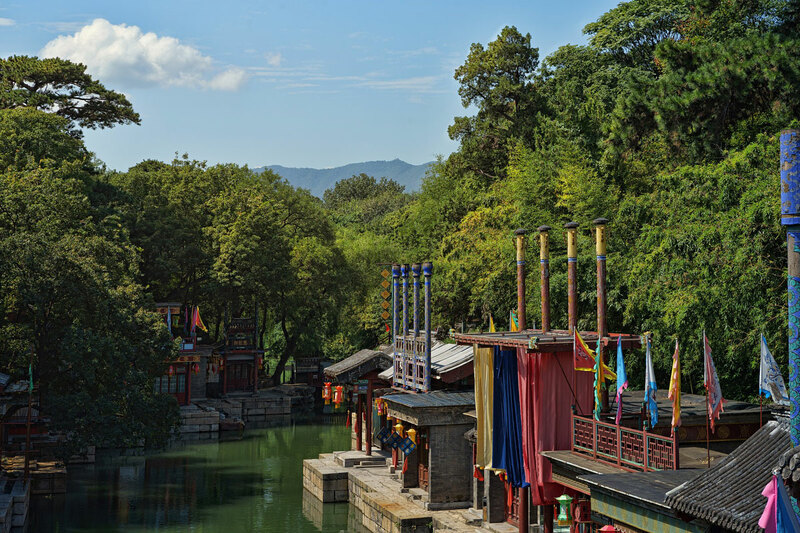 It was first built during the year of Qianlong of Qing Dynasty. On its roof beams there are more than 8,000 color paintings. Color painting is known as decorative art of wooden architecture in China, it appears magnificent and splendid, the color paintings of Long Corridor have a wide range of subjects, including landscape, flower and bird, and figure; most of the general appearance of pictures are limited within the great part of a circle line, named "BaoFu". Combing the whole appearance of picture with the painting has a strong stereoscopic sense. Tours N C002. 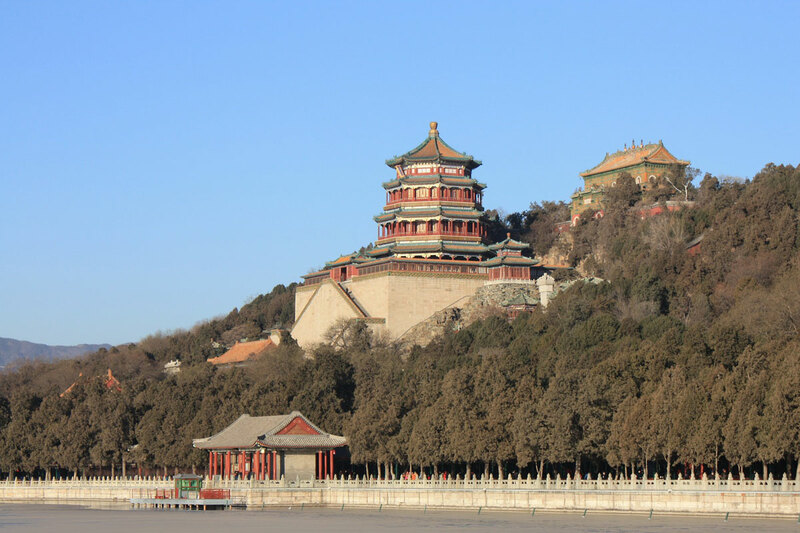 Beijing – Xi’An - Beijing (8 days/7 nights). Photo. Beijing. 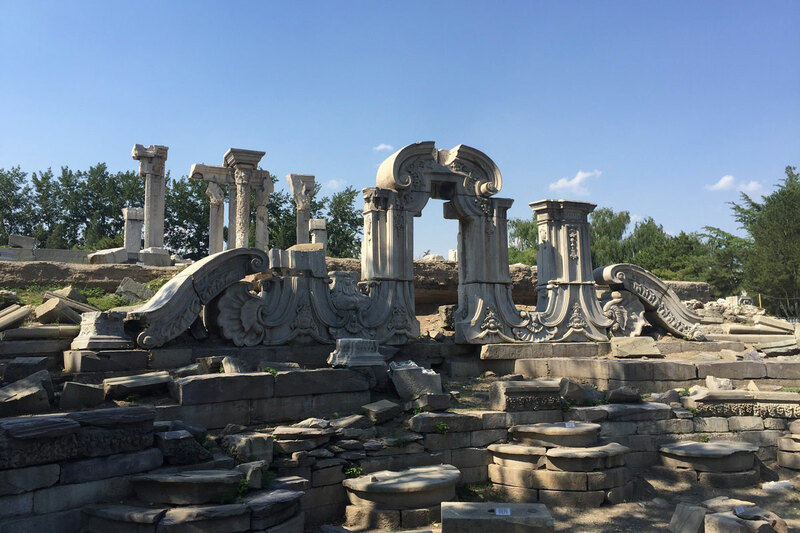 Summer palace. China.